DJ 'Ghost' at The Spaniard, Belfast. 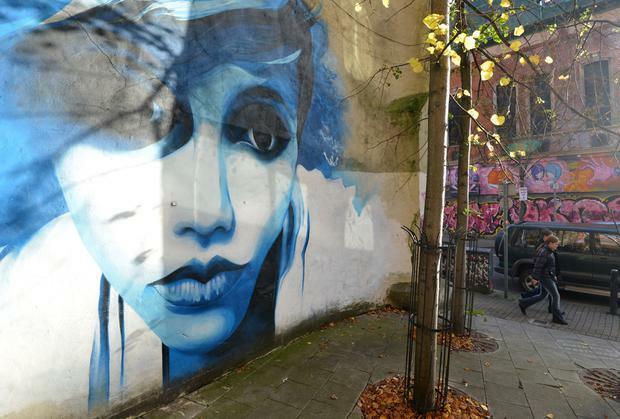 There's more to Belfast than a ship that sank over a century ago, you know. 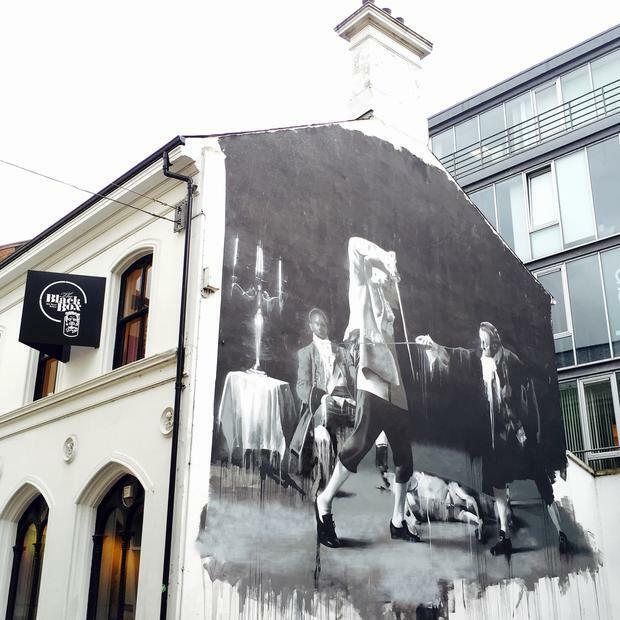 Here's where to eat, drink and be merry in Northern Ireland's capital city. Several years ago, the idea of travelling to Belfast for a meal, a night out or a great cup of coffee would have sounded ridiculous. Today, it's all change. A city of conflict has become a cultural hotspot. Politicians still squabble, but beyond Stormont, people are hitting the streets with a whole new sense of pride, purpose and passion. It's a brave new Belfast. Here are 10 essential stops for your next visit. 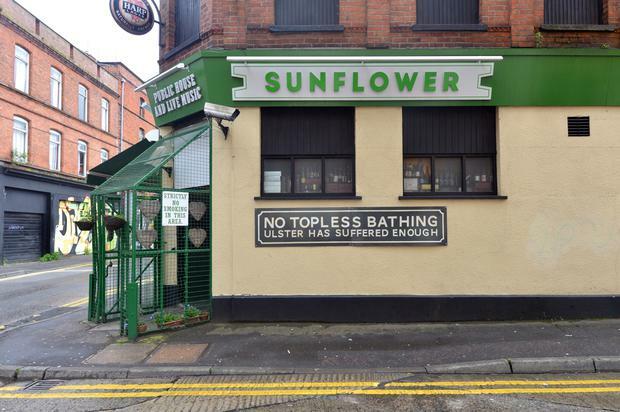 This is hands-down my favourite bar in Belfast. Maybe its the cage built around the door - a legacy of the Troubles, and apparently the only one still standing in the city, albeit now painted green and bedecked with hanging baskets. Maybe its the unpolished ambiance, with candles stuck in old gin bottles and a collection of weird and wonderful memorabilia (a photo of Maradona's 'Hand of God' goal signed by Peter Shilton and Maradona, anyone?). Maybe it's the wood-fired pizza out back. Yum. Most likely, it's all of the above. The Sunflower may look like a graffiti-splashed watering hole waiting for a wrecking ball, but step inside and you'll find one of the most easygoing and eclectic casual drinking dens on the island. Think quality coffee, and Belfast doesn't exactly spring to mind. Mark Ashbridge and his team at Established, a cool little church of caffeine in the Cathedral Quarter, may well change that. “It’s all about the product,” he told me when I last visited, and that's reflected in every cup. 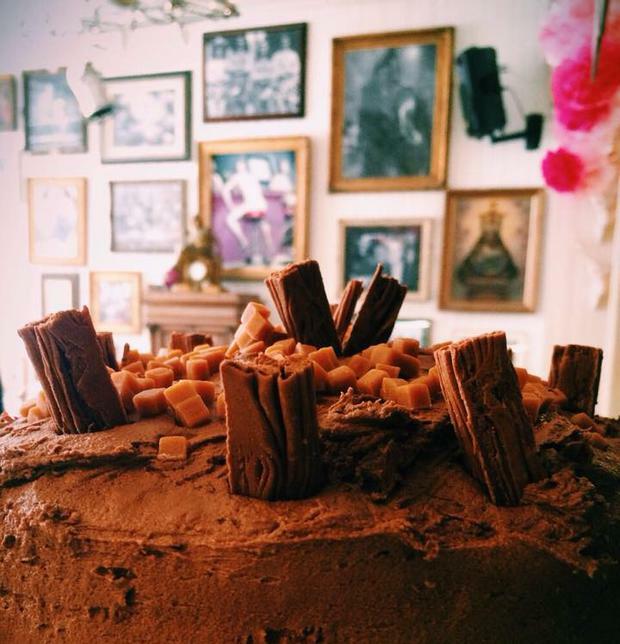 Think of Monmouth in London, banish all thoughts of Starbucks and Costa, and chalk it down for a pick-me-up. Yes, it's the obvious choice. But that fact alone speaks volumes about how much Belfast has upped its foodie game. OX - a slickly minimalist bistro set in a former tile shop on Oxford Street - continues to wow critics with its mix of exquisite food, unstuffy ambiance and sensational presentation. Dishes like Mourne mountain lamb - served with chicory, black olives or asparagus - or rabbit saddle and braised pork with snippets of beetroot, carrot and broccoli (above) easily stand up to any Michelin Starred restaurant south of the border. 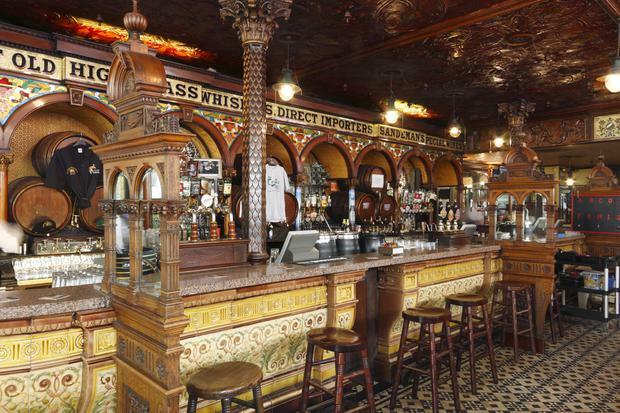 Lots of old-school boozers could make this list - The Duke of York, to name just one. But the Crown Liquor Saloon demands inclusion. A former Victorian gin palace that has lost none - NONE - of its atmosphere (it's owned by the National Trust, for God's sake), this is a masterpiece with an impact equal to the grandest cafes of Vienna. Mosaic tiles, scalloped lamps and a burnished primrose ceiling are just some of the timeworn details, but the snugs are the icing on the cake. Get there early, in other words. OX is the critics' darling, but this unpretentious seafood joint can claim every bit as much credit for putting Belfast on the foodie map. 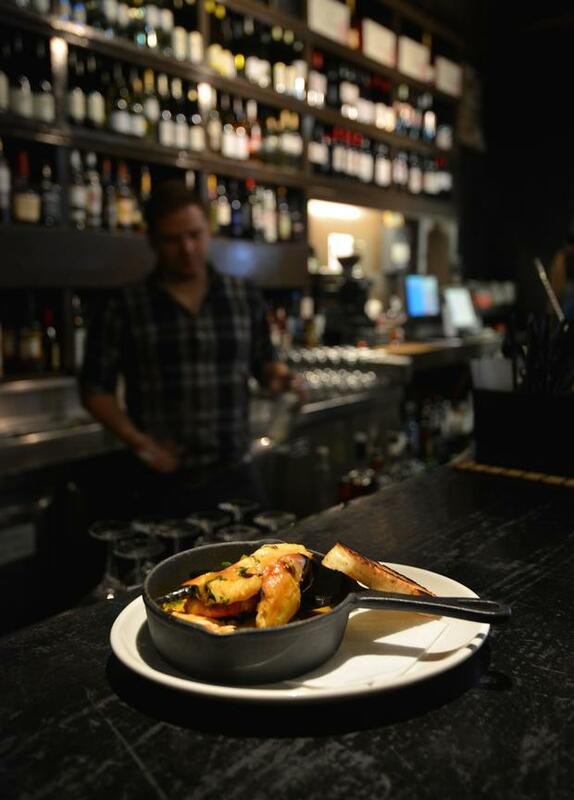 Blackboards on bare brick walls list daily specials, including beer-battered fish, salt-and-chilli squid, crab claws, scrumptious scallops and, just in case the carnivores feel left out, a rib-eye steak. Oysters are a specialty, but you won't go wrong with any order here - the seafood is snap-fresh from Kilkeel. Forget the new wave of generic clubs and pubs in the Cathedral Quarter and make a beeline for the area's original dive bar. Sure, The Spaniard's grungy, East Village feel is hardly original, and the security can be surly, to say the least - but there's something about the rebellious nature of the place (set directly across from the five-star Merchant Hotel and its fancy cocktails), the collection of vinyl plastered to its ceilings and the cramped punters bopping away to indie tunes that wins you over. Twin a visit here with a trip to Muriel's down the road for a ShortCross gin with orange peel. 'It'll blow your mind a bit,' as I was warned. Correctly, it turned out. Saint Anne's Square could take care of your dining needs for a week - what with Salt, Canteen at the MAC, The Potted Hen and Coppi (and more) all screaming come hither. Coppi is a local fave, mashing up New York bistro and Jamie's Italian in a space furnished with white tiles, long banquettes, dark wooden walls and an open kitchen illuminated by its heat lamps. 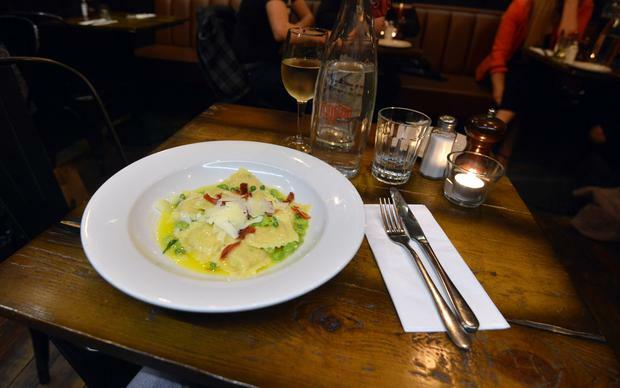 The menu is bursting with tempting Italian goodies (specials on my visit included a charred peach bruschetta with chilli and Parma ham, and a ravioli with roast chicken and peas), so bring a big appetite. The drinks list could be the start of a beautiful evening, too. Try the Hendricks Garden - mixing gin, elderflower, apple, cucumber and lemon from £7/€9.50. I came for the glorious piece of street art on its gable end. I stayed for the band rocking the Green Room from the corner. I wasn't alone. This brilliant arts venue boasts a larger main room and a smaller, street-facing bar. And its programme is genuinely mad. Visit this month, for instance, and you might catch Tom Hingley talking about his life as lead singer with Inspiral Carpets, a DJ set from Andrew Weatherall, a midweek magic club, something called 'laughter yoga', and even a psychic medium. Definitely worth a stop on your crawl. Friendly staff. A bustling space. Battered fish with ginormous chips. A moreish fish chowder. 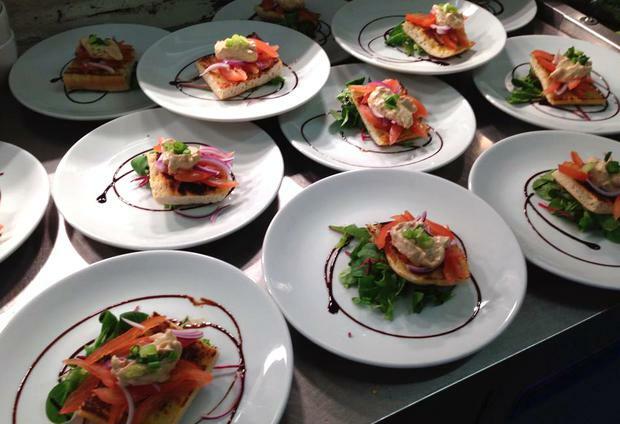 Breakfast, lunch and dinner menus served in a cultural space including an art gallery, theatre, and bookshop. No, it's not a fancy new get-up in the Cathedral Quarter. It's the house restaurant and cafe at Cultúrlann McAdam Ó Fiach on West Belfast's Falls Road. A cool, curvy redbrick extension patches the Gerard Dillon Gallery onto a former Presbyterian Church, and the restaurant feels like a crossroads - and a feeding station - for an entire community (Friday is steak night). There's more to the area than murals, you know. You'll either dig this place, or you won't. Some of that comes down to the eclectic decor, which takes cluttered chic to a whole new level; some of it to the crowds. My tip? Go off-peak, avoid busy weekends, and take the time and space to sit down, order a glass of wine, and soak up what it's all about. Set behind art nouveau windows next to Ulster Hall, Harlem Cafe is good on gluten-free options, offers everything from Sunday roasts to soups, snacks and charcuterie boards, and furnishings range from a big, fat, framed photo of Elvis to theatre lights and faux-classic busts. There's live music on Friday and Saturday nights, too. For more info on visiting Belfast see visit-belfast.com and discovernorthernireland.com. Pól stayed at the Malmaison Hotel (malmaison.com) during his most recent visit to the city. Belfast Food Tours (belfastfoodtours.com) also do walking tours of the city (Saturdays, 10.30am-1pm; £35/€48pp).